AO update glitch is the glitch energy that occurs on all channels on the same bank as the result of a channel update, regardless of value. For example, if you update the value of AO 0, all channels within that bank AO <0..3> will experience this glitch regardless of whether their output voltages change. Absolute accuracy at full-scale number is valid immediately following self calibration and assumes the device is operating within 10 °C of the last external calibration. Accuracies listed are valid for up to two years from the device external calibration. The protection provided by the PXIe-6738 can be impaired if it is used in a manner not described in the user documentation. Exceeding the current limits may cause unpredictable behavior by the device and/or chassis. 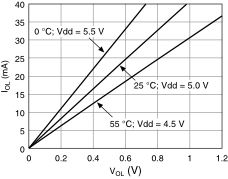 Connect only voltages that are below these limits. 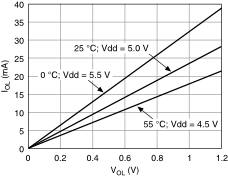 Measurement Category I is for measurements performed on circuits not directly connected to the electrical distribution system referred to as MAINS voltage. MAINS is a hazardous live electrical supply system that powers equipment. 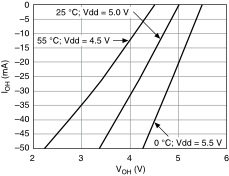 This category is for measurements of voltages from specially protected secondary circuits. Such voltage measurements include signal levels, special equipment, limited-energy parts of equipment, circuits powered by regulated low-voltage sources, and electronics. Do not use for measurements within Categories II, III, or IV. The PXIe-6738 is intended for indoor use only. Clean the device with a soft, non-metallic brush. Make sure that the device is completely dry and free from contaminants before returning it to service. This product meets the requirements of the following environmental standards for electrical equipment for measurement, control, and laboratory use. 1 Used for writing unscaled or raw data and covers the range from negative full scale (0) to positive full scale (65,535). 2 These numbers apply to continuous waveform generation using onboard memory only, which allows for the highest update rate by doing a single transfer of data over the bus. The maximum update rate in FIFO mode does not change regardless of the number of devices in the system. 3 All analog output channels are grouped into banks, as shown in your device pinout. Each bank consists of four AO channels using one DAC. Any channels being used within a single bank will update simultaneously. 4 Analog output channels are designed for four-quadrant (source and sink) operation. 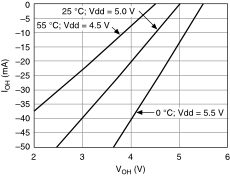 5 Stresses beyond those listed under Input voltage protection may cause permanent damage to the device. 6 Has a self-resetting fuse that opens when current exceeds this specification.